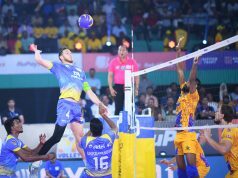 Calicut Heroes, after winning all the four matches and becoming the first team to qualify for the playoffs, will be facing the Ahmedabad Defenders in the last match of the Kochi leg of RuPay Pro Volleyball League on Wednesday. 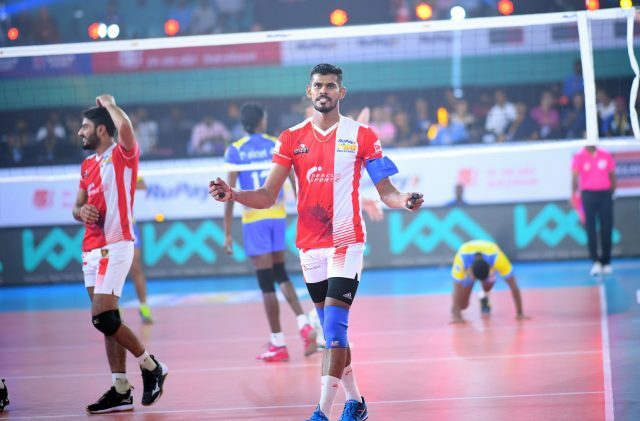 Calicut Heroes have been by far the most consistent team in the league stamping their authority on each match they have played. Skipper Jerome Vinith, Ajith Lal, Paul Lotman and Karthik A has excelled in their respective domains with Vinith and Ajith leading the spikes division and Lotman giving them a close follow. Karthik on the other hand is leading the lot in terms of serve points as well as Super Serves. 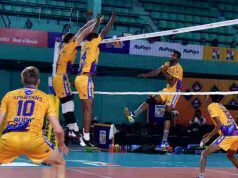 Ahmedabad has lost both their matches by the same score line of 3-2 first against Hyderabad and then against Kochi. With three matches left for them to play this match is extremely critical for them. 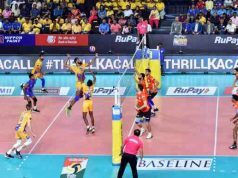 The live broadcast of the match will start on SONY SIX and SONY TEN 3 and live streaming will be done on SONY LIV from 6:50 PM IST on Feb 13th 2019.